Some people decorate with art, antiques and unique furniture while others use indoor plants as outstanding design elements for their space. Indoor plants can beautify your environment, purify the air inside your home and add a natural element to spruce up a boring or bland space. While indoor plants are great at adding color and a breath of fresh air to your home, they do demand some love and care in return. Plants grow and change with time and they need to be well-taken care of if you want them to stay healthy and thrive. Some plants are very easy to care for while others need more attention and more care. The care that is required by your indoor plants depends on what kind of plant it is. Each type of plant has different needs for water, sunlight and fertilizer so it is important for you to do your research before you buy plants for your home. With a little preparation and some care you can easily keep your house plants looking beautiful year round. There are many different conditions within your home that can affect the way your houseplants grow so make sure to educate yourself about the different needs of all of your houseplants. While one may require daily watering another may only need to be watered once a week. Some plants absolutely need direct sunlight to survive while others are perfectly happy in dark corners. As your plants grow and thrive you will learn what they like and what makes them beautiful. In the meantime, we want to help you out with a helpful guide to indoor plant care to get you started on beautifying your space with luscious and fresh indoor plants. Houseplants are simply plants that once grew in a natural climate in the great outdoors. While houseplants were not directly plucked and placed in a pot, these plants do need their ideal conditions to be replicated in order for them to stay healthy. Most houseplants have been domesticated, pruned and fully prepped before you purchase them and bring them into your home – unless you really do pick wild plants from a garden or any other outdoor spot. The secret to taking care of indoor plants is that you need to try and recreate their natural habitat as much as possible. 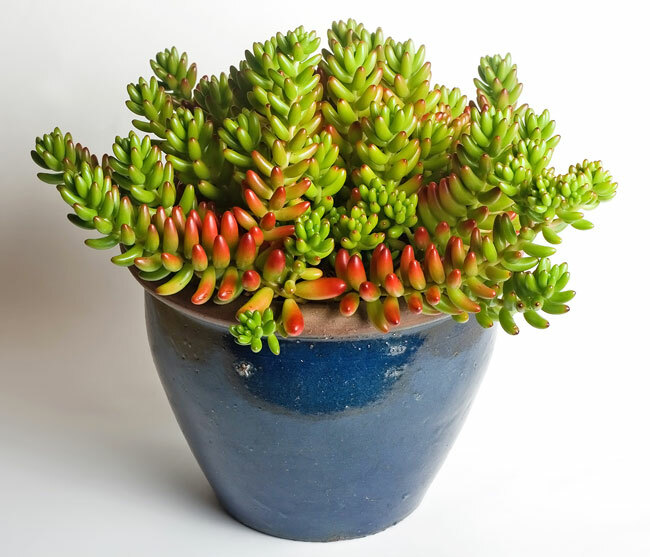 For example, if you decide that you want to grow cactus and succulent plants then you know that they prefer sunlight and dry conditions, so if you live in a place where it is mainly gloomy or overcast such as Seattle or London, then these houseplants are probably not a good choice for you. There are many different types of indoor plants for home decoration to choose from and while some can be extremely needy others barely need any attention. For example, ferns are extremely fussy plants and they need a lot of attention and care to survive. Snake plants on the other hand have been known to survive without much light or water and they can easily withstand neglect. While snake plants can virtually withstand the roughest conditions this does not mean that you should neglect them, because with a little bit of tender love and care these plants will make beautiful additions to any corner of your home. Regardless of the type of indoor plants you choose for your home or office, just be sure that you will be able to meet the basic care needs and requirements for your plants. There is nothing that is more sad than dried up and wilted plants in your space. Once you have chosen the perfect indoor plants for your home or office you will need to find the best place for your new additions. Sometimes the natural light inside a home is not enough for certain plants so you may need to invest in extra lighting to meet these needs. Plants that require plenty of sunlight are best kept on windowsills, in bathrooms, in the kitchen by the windows and in bright corners. The humidity or dry air inside your will home will also affect the way your plants grow and behave. While some plants need dry air to survive others need to be kept moist. There are ways to get around this – for example if your home is very dry and you own a fern that requires extra moisture you can just mist the leaves with a spray bottle every day to make sure they stay damp. Although it may seem like watering your plants is the easiest thing to do, this is the single act that is responsible for killing more plants than anything else. Each plant has different needs and it depends on the species, the soil, the light, the temperature and the humidity in your home. Plants that have more leaves or lush foliage will most likely require more water than those that are not as voluminous or have waxy leaves. How much you water your plants also depends on the growth cycle, because a plant absorbs more water during an active growth period than during rest periods. The size and the type of container you have placed your plant in will also affect watering. A small pot will absorb moisture quickly whereas a larger container will retain too much water. A plant in a clay pot will also need to be watered more frequently than one in a plastic pot. You can check to see if your plants need to be watered by sticking your fingers into the soil and feeling for moisture or dryness – it’s like testing a cake to see if it’s ready to be taken out of the oven. If the soil feels dry then you need to water the plants, if it feels moist you can probably wait a day or two to water and if the soil is downright wet then you need to cut down on how frequently you water your plants. Low light – the plants require some indirect light, and they can even thrive under electric lights such as fluorescent light bulbs. Lighting gives plants the energy they need to grow, thrive and to stay alive. Fertilizer is like food for your plants. As a rule of thumb indoor plants should be fed every other week in spring, summer and early fall. During winter your plants will need fertilization less than once a month. The fertilizer you will need depends on your plants. Labels usually list numbers such as 10-20-10, which shows the percentages of nitrogen, phosphorus and potassium in the mix. Nitrogen is responsible for giving plants luscious foliage and promotes growth, phosphorus keeps the roots strong and healthy and potassium helps plants fight off diseases. Most indoor plants need a balanced fertilizer such as a 10-10-10 formula. It’s important to keep your plants clean and to cut off any dead ends or flowers. In order to make plants more full you can “pinch” off the tips of new branches so that when they continue to grow they can be bushier and more voluminous. Make sure to cut off any dead stems or branches so they don’t attract harmful fungus. Remove brown or yellow leaves as well so they don’t decay and attract disease and insects. Take the time to dust the leaves of your indoor plants. Cleaning the leaves helps the plant get the light exposure it needs to grow and also helps rid them of insects. You can also clean plants that have fine foliage with a gentle spray of water. Sooner or later you will need to re-pot your indoor plants as they continue to grow. The most obvious sign is if you begin to see roots on the surface of the soil or emerging from the drainage holes at the bottom of the pot. This means that the roots have become cramped and cannot continue to comfortably grow in the tight container. When re-potting don’t choose a pot that is too big for the plants, because bigger pots retain extra water and can cause your plants to rot. Make sure to clean the roots of your plant when re-potting to stimulate new growth. After re-potting your plants they will need extra attention while they recuperate after this stressful experience. Keep the soil moist, provide extra humidity and wait at least a month before you use fertilizer. If you notice problems with your plants make sure to solve them before they get serious. If you’re away from your plants for a vacation make sure to ask a friend to take care of their watering and any other special needs. Don’t move your plants too much, because they need time to adapt to different surroundings. Taking care of indoor plants is an extremely rewarding experience and you will enjoy many benefits of indoor plants apart from the aesthetic beauty and design. Different breeds of plants have different care requirements so make sure to learn about the specific care guidelines for the indoor plants you choose for your home or office. Taking care of plants is more than just watering them and putting them next to a window – plants are living things and they need food and attention to thrive. If you have any questions about your plants at home or if you are seeking professional guidance or assistance connect with our experts at Interior Gardens. We would be more than happy to help and offer personalized care tips for your beautiful plants. Connect with us today!